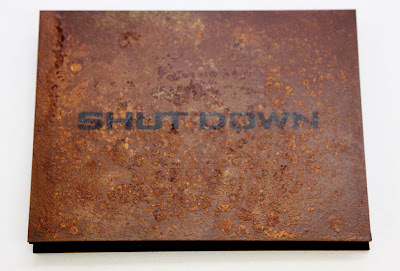 The Vienna based photographer Christoph Lingg was kind enough to offer me trade of his special edition of Shut Down. The book was published in 2007, but it is a new discovery for me, a bit late, but such is often the case with such special artist's books. This isn't a book you will just find on a book store shelf, although I saw that Dashwood has had them in the past. Each is unique through the rusted metal covers, each one created by the artist. 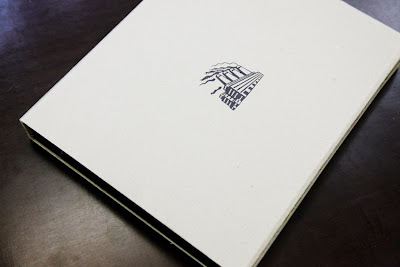 The book, beautifully printed, is hand-bound and comes in a card-stock slip-case. 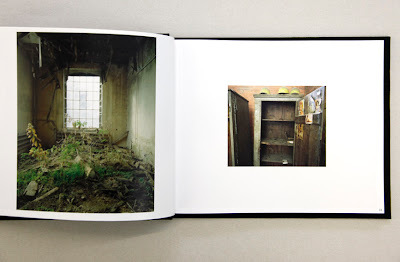 Christoph traveled to 120 abandoned industrial sites from 2003-2006. Countries including Albania, Azerbaijan, China, former East Germany, Kazakhstan, Croatia, Mongolia, Poland, Romania, Russia, and several more are represented in this tribute to the ideologies of what once stood for progress and growth, but now left to decay. "One of the most striking paradoxes of "real existing socialism" is that this society, which loved to portray itself in the form of smoking factory chimneys, rows of combines across the fields and red-hot iron pouring out of smelters, never manufactured or produced anything." Of the 120 sites visited, 68 of them are represented in the book, in 104 color images. Abandoned factories must be on the list of things, such as grave-yards, churches and puppies that are the things difficult to photograph without becoming kitsch, contrived, over loaded with pathos. Even with so many in the edit, the images avoid romanticizing. 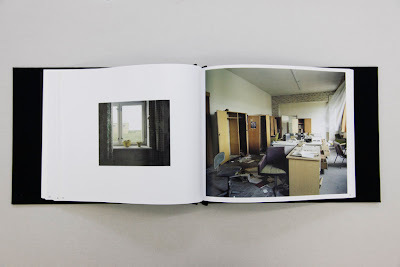 There are 3 strong texts which accompany the images from Susanne Schaber, Richard Swartz and Serhij Zhadan. This is the special edition image I chose out of the 9 to select from. 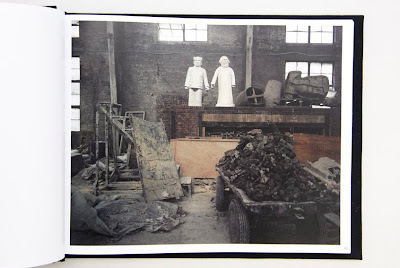 Its a fantastic c-print, 30x40 cm in an edition of 7, so it is rather limited. Be sure to check out Christoph's other books on his homepage. You can order them directly through the publisher, Edition Aufbruch, in Vienna. There is also a german version available called STILLGELEGT. This is an off-topic comment. 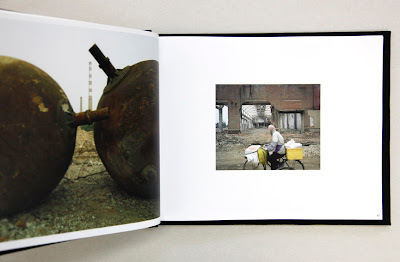 I grew up in Poland, in an area of intense coal mining and heavy industry. There was indeed a cancerous overgrowth of that industry driven by political means. It did collapse as soon as the country moved on to a more rational political and economical system. I wouldn't be surprised if some of images in this book were taken in a place I personally know. I must say though, that I find this quote from Richard Swartz, whoever he is, about a society that 'never manufactured or produced anything' unfounded and really offensive. Many freedoms and comforts were missing in the "real existing socialism" where I grew up. On the other hand, I had access to free education up to university level, public healthcare, transport etc. Having now lived in the UK for few years, I must say that many of those public services were in some ways superior and more accessible that those offered by one of the richest Western democracies. I also grew up in what I now see as a fairly egalitarian society. It was an equality of shared poverty, but it was equality indeed. In the light of the ongoing economic turmoil I must also say that 'real existing socialism' failed in producing wealth or capital but we are yet to see if overproduction of those things in the capitalist economies is such a great things. "These photographs are not collapsed histories of post-colonial African states or a meditation on aspects of late-modernist colonial structures, but a walk though avenues of dreams. Patrice Lumumba's dream, his nationalism, is discernible in the structures, if one reads certain clues, as is the death of his dream, in these de facto monuments. 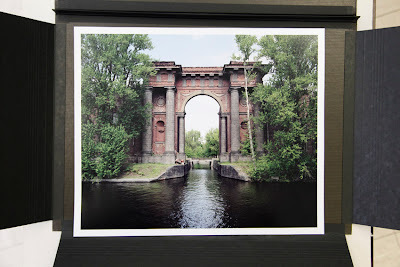 How strange that modernism, which eschewed monument and past for nature and future, should carry such memory so well."